Fort Lauderdale, FL / October 05, 2013 - Rand Internet Marketing, an award-winning Web Design & Development firm, is excited to announce growth has prompted a move to new office space in Fort Lauderdale almost quadruple the size of its current offices. 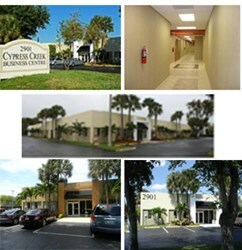 After opening its first office in 2010 with five employees and 1,500 square feet, Rand Internet Marketing, named a Top Web Design & Development Company and Top IT Consulting Firm by South Florida Business Journal, quickly outgrew that space, prompting a new lease starting October 1, 2013 at Cypress Creek Business Center with 5,976 square feet of office space. With the launch of the new Rand Business Center, two other businesses, The Media Zoo, a video production company and RDSteam.com, a green office equipment leasing company will share office space with Rand. The new space also accommodates growth for up to 50 employees. To celebrate, Rand Internet Marketing will hold an open house & ribbon cutting with the Greater Pompano Beach Chamber of Commerce on October 23rd at 5:30 pm. Calendar Brief: Rand Internet Marketing, an award-winning Web Design & Development firm, is excited to announce a move to a much larger location. Expanding from 1,500 to 5,976 square feet, Rand Marketing is ready to introduce our new space in grand style. To celebrate join us for an open house with the Greater Pompano Beach Chamber of Commerce on October 23rd at 5:30 pm. The official grand opening will be held Friday, November 8 from noon – 3 p.m. and will include a silent auction for the non-profit Abi's Place. Both events will be held at the new location, 2901 W. Cypress Creek Road, Suite 125, Ft. Lauderdale, 33309. Please RSVP for either event on http://www.randevents.com or email RSVP(at)RandSEO(dot)com. Rand Intenret Marketing is a full-service provider of website design, logo and graphic design, web programming, web hosting, search engine optimization (SEO), Google Adwords PPC mangement, internet marketing, video development, corporate photography, merchant services and full color printing. Rand Internet Marketing clients control over 100,000 keywords with Top 10 rankings on Google, Yahoo, and Bing. In addition, Rand has managed over $15 million in Google AdWords campaigns, is a Paypal Partner, is A+ Rated with the BBB and has been named a top Web Design & Development Company and Top IT Consulting Firm by South Florida Business Journal two years in a row. Visit http://www.southfloridawebsitedesigner.com for more information or call 954-530-6125 to setup an appointment.